USB-C is now the foremost USB connector port that companies are incorporating on more and more devices. Apple has been among the quickest off the mark to embrace USB-C, but Microsoft has largely stuck with USB 3.0. Consequently, most Surface laptops do not include USB-C ports. 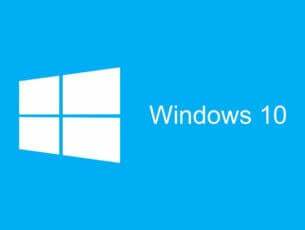 However, Microsoft has now confirmed that it will launch the promised USB-C dongle (adapter) for Surface laptops in June 2018. I love the technology in Type-C… When Type-C is ready for our customers, to make it easy for them, we’ll be there… If you love Type-C, it means you love dongles. We’re giving a dongle to people who love dongles. 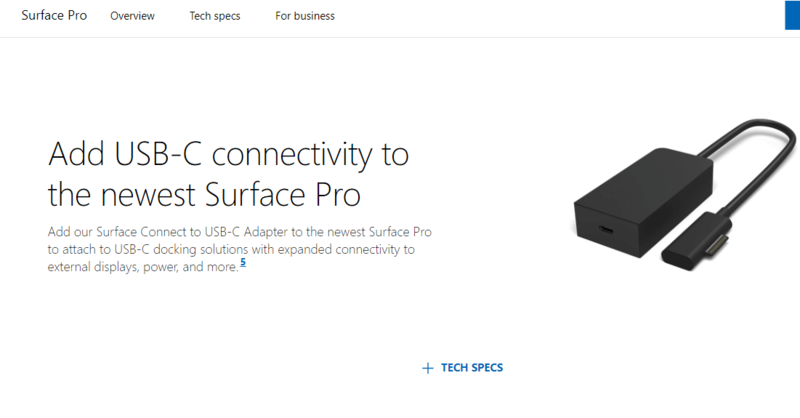 Now Microsoft has confirmed the imminent launch of a USB-C dongle with the addition of a Surface Connect to USB-C Adapter to a Surface Pro page on its website (shown in the snapshot below). That page does not mention a specific launch date for the dongle, but it does include some specifications for the new Type-C adapter. The new dongle will provide one USB-C port for Surface Pro, and the adapter dimension’s are: 82mm x 40mm x 20mm. Microsoft has restricted the Surface Connect to USB-C Adapter’s compatibility to the latest Surface Pro models. 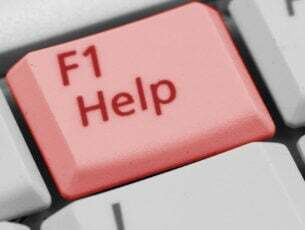 The adapter is compatible with the Surface Pro 1796 and 1807 models and the Surface Laptop 1769. 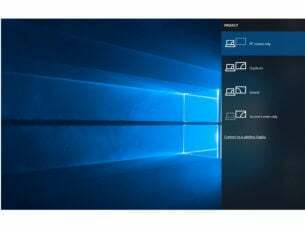 The adapter’s platform compatibility is also limited to Windows 10 version 1703 (otherwise the Creators Update) and more recent versions, such as Creators Fall and the April 2018 Update. A Microsoft spokesperson has reputedly confirmed that the adapter will become available through business channels from June 29. The Type-C adapter is expected to retail at $79.99 when launched. However, a Microsoft webpage or blog post has not officially announced that launch date or RRP for the USB-C adapter as of yet. 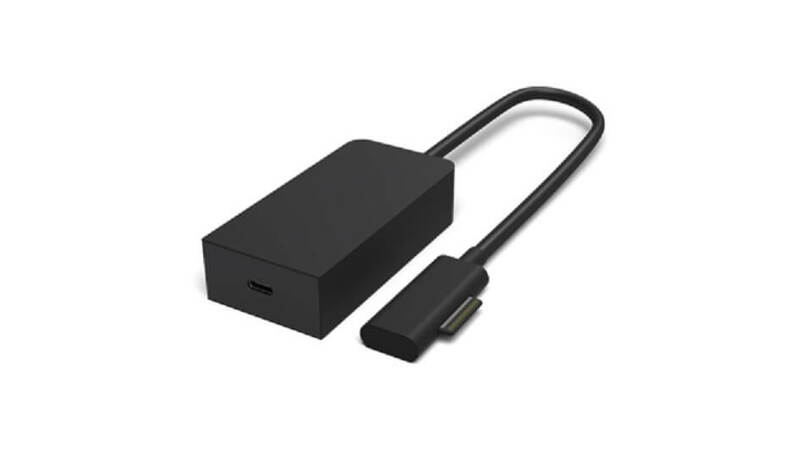 So, Surface users can now upgrade to USB Type-C for faster data transfers with the new Surface Connect to USB-C Adapter. Microsoft is seemingly transitioning to Type-C with its new adapter, which could replace the Surface Connector. As such, Microsoft might include USB-C ports on the speculated Surface Pro 6.